CRAFT is a pioneer in performance baselayer and offers functional garments that provide excellent body temperature management during exercise in any condition. 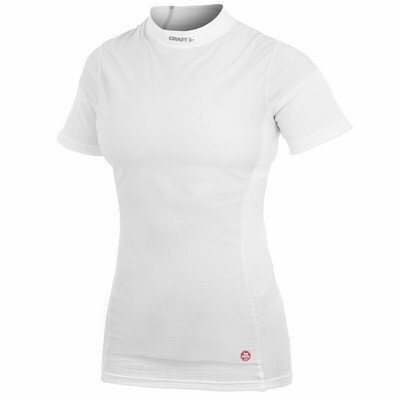 CRAFT is a pioneer in performance baselayer and offers functional garments that provide excellent body temperature management during exercise in any condition. The fabric structures and knitting techniques interact to efficiently transport moisture away from the skin and distribute it on the outside, where it either evaporates or is passed on to the next layer for optimal performance and comfort. Active Extreme Windstopper combines the superior body management and ergonomics of Active Extreme with the outstanding wind-protective properties of Gore Windstopper. Featuring Windstopper panels in exposed areas, Active Extreme Windstopper provides excellent wind protection, breathability, moisture transport and comfort throughout any workout in fair, cold and windy conditions.